Happy Monday and July 4th Week everyone! I can’t believe July 4th is literally days away. The official kick-off to summer is here and I’m so ready for all the cookouts, beach days and fun ahead. In my hometown, the 4th of July parade and fireworks get celebrated on the 3rd and we venture to the neighboring town to my Dad’s house for the 4th. No matter what you are doing I think it’s a requirement to wear your red, white and blue with pride! So what is everyone’s plans for this coming Wednesday? I thought I would share some July 4th inspiration in case you’re still searching for that perfect look. This dress fits the bill perfectly. 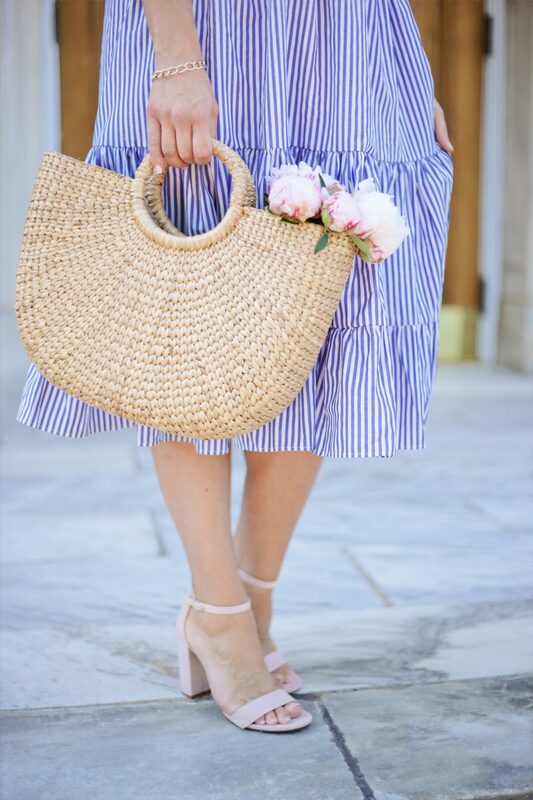 I love the midi length with stripes…and it fit over my bump! I’m still not sure if I am going to do the more casual route with a tee & white denim or stick to something like this. Both would work perfectly, but dresses tend to be more comfortable for me currently. 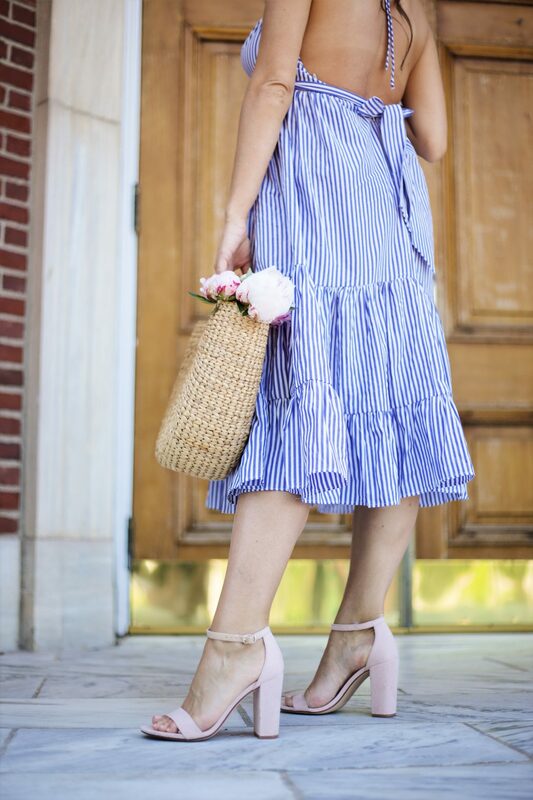 This July 4th look is perfect because this cute little number can be worn all summer. I know I have said this before but I only purchase pieces I can style or wear at least 5 ways. All the look needs are some red tassel earrings to make this July 4th ready. If you caught my blog post on the Nordstrom Anniversary sale then you know how excited I am, and how amazing it is! I wanted to give back to you girls with a chance to win a $600 Nordstrom gift card to shop the best sale of the year. Below is a link to click on to enter. I am keeping today’s post short and sweet since there is a lot of celebrating to be done! Hoping you all have a fun & safe July 4th!